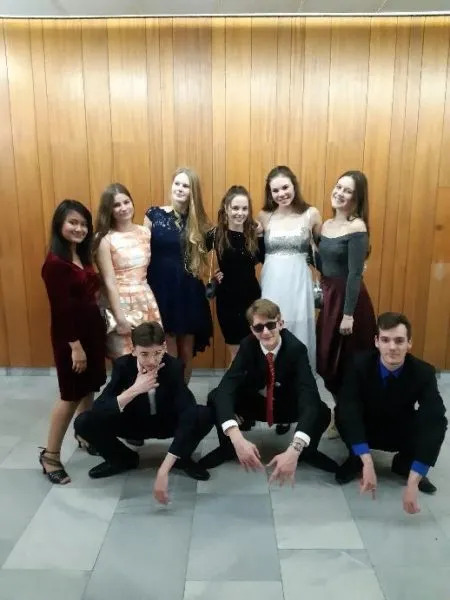 It’s already 7 month for the exchange students having another life in their host country. Maybe someone has assume it as a second home, some are still struggling in adapting or some are feeling it at the same time. Some are feel already learnt alot in this program, some are feel not learnt enough in this program. Every people is different, but the most important things in here are we can feel the different atmosphere, we can find strange people that became our family or bestfriend, we change ourself became more independent, confident, and brave even without us knowing it. Also we can feel different days from what we felt before in our country. One of the different day that i like the most is Christmas. I’m Muslim. Before i go to here, i never felt the Christmas Vibes, but now i know like what the Christmas vibes are. In my hostfamily here, 3 days before Christmas, we decorate the Christmas tree. In the morning of 24 December , we have eat together with family and close friend, but its not heavy things to eat. Its chlebíčky, cukrárna, fruit, and dessert. Cukrárna look like sweet that we always eat when Ramadhan is coming in Indonesia, and of course babička’s cukrárna je nejlepší (grandmother’s sweet are the best). Its true! Grandmother in here are really good at cooking and baking. In the afternoon, we cooked for the dinner. Before have he dinner together, me, my hostsister, my hostfather, grandfather and cousin visit our family cemetery where its not really far from our home, it’s like 500 m from our home. After that we have dinner together. 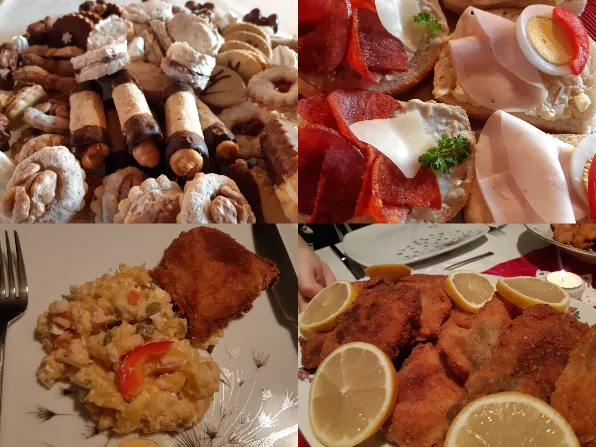 I like typical Czech food for Christmas. It’s smažený kapr a bramborový salat. I never eat carp with that technique of cooking but its good! After we finish our dinner, we put up the plate and you can see money in there. Its like we are waiting or hoping for our wealth in the next year. 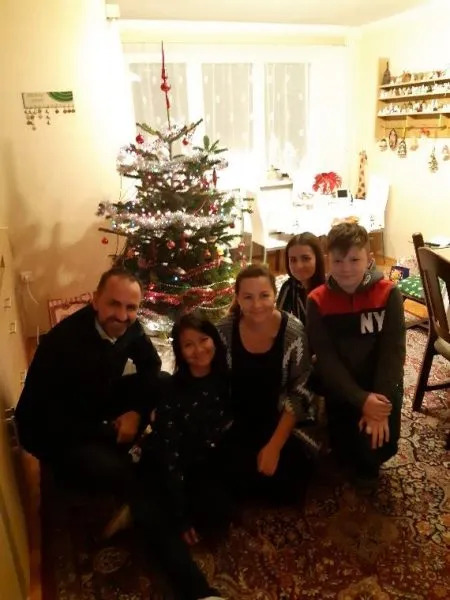 Another unique Christmas tradition in here is Krájení jablka. We cut the apple horizontal, and we can see the “star” in the middle. If the shape of the star is great, its mean that you will have great year in next year, but if you dont have a good shape of star, its mean death is coming to you soon. Its a little bit creepy right?. After we have dinner, we continue to open the christmas gift, its my favorite part because we have gift that its from family in here :D. Also not only in house, we have Christmas in school too. 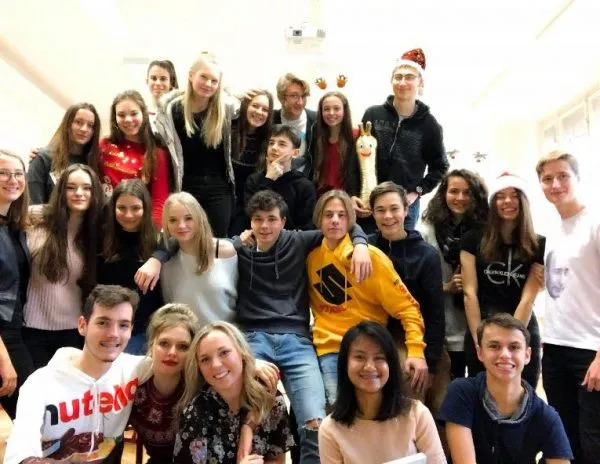 In the last day of school in December, We bring gift and give it to person we want to give, its like we change our gift to people but i didn’t expect that i would have a lot of gift from my friend. They are really nice to me. 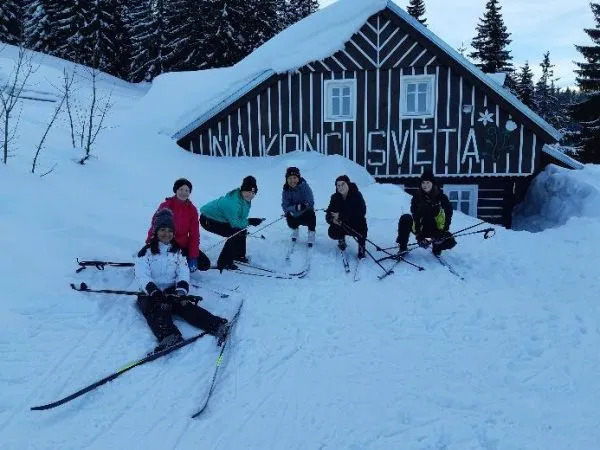 Besides Christmas, my best moment is skiing trip with school and with AFS. 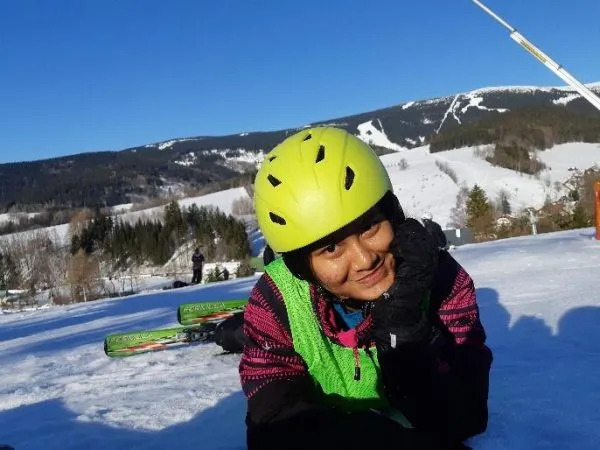 Actually skiing trip with school and with AFS are different time but skiing trip with school is more challenging for me because i never had skiing before and never walk on the thick snow. For 5 days I struggled to learn skiing. If people learn from the way to walk with the board, I have to learn from how to get up from falling, but my teachers here are very kind and patient to teach me. On the last day of skiing trip with school, I was only able to turn right and left which was very late. On skiing trips with AFS, I was more enjoy it because I already can skiing without a trainner! hahahah. I was very happy at that time finally one of my goals was achieved. Another best momet in here which is the last one i will tell you is Maturitni Ples. In Indonesia its like farewell party, but it has a lot of different like the senior class can invite their family and their friend from another school. In the beginning of the event, they play some video that reflected their life in highschool, after that the teacher give the student their graduation sash and then every class has performance like dance together or something like that. Than, we also have “crazy” dance untill whenever we want. It was an amazing night, really! 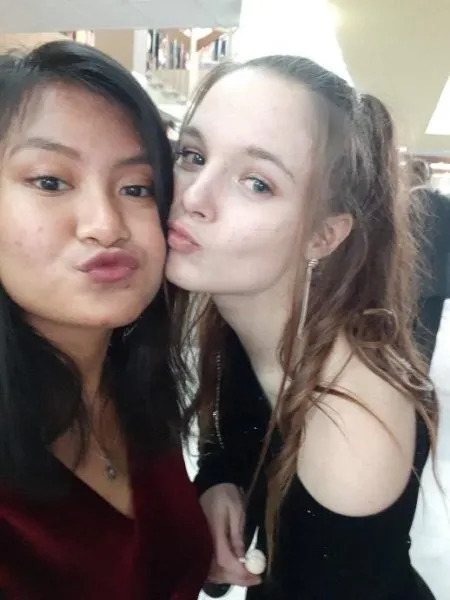 I spent time with my classmate with dancing, singing, talk and laughing. Actually, theres a lot of moment that i like, but that 3 moment are my favorite. I only have 3 month left. I can’t believe it, it’s really fast. I thought it was yedterday that i came to here but its already 7 month ago. I cant wait to feel another moment!